Artificial Intelligence (AI) is being embraced and adopted by organizations of all sizes across the world. According to a global survey of data and analytics technology decision makers, 51% of firms have already implemented or are expanding their implementation of AI – and an additional 20% plan to implement AI in the next 12 months1. Are your customers looking at the opportunities offered by AI implementations too? Industry analyst Forrester Consulting suggests that, to ensure success and mitigate the risks, it’s up to CIOs to take the lead on AI projects. 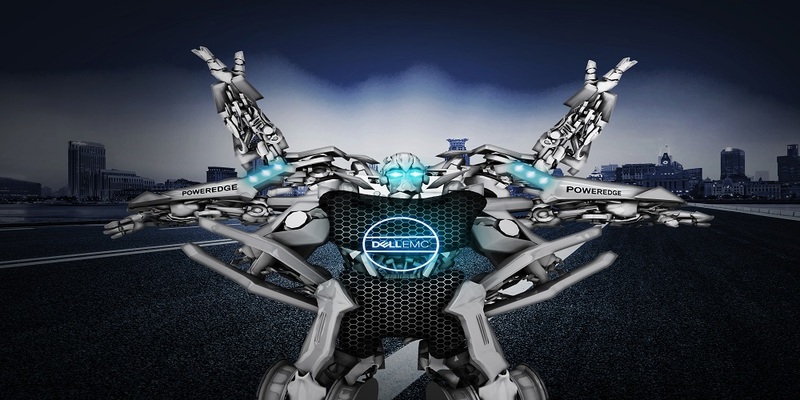 From a hardware standpoint, Dell EMC PowerEdge should be the leading AI technology solution being considered by CIOs. The data, applications, server, accelerator, fabric and storage infrastructures that CIOs manage are critical for driving business value with AI. So it’s natural to identify them as the best placed individuals to engage their organization’s lines of business around their AI initiatives, to modernize the IT infrastructure and ultimately to drive the AI agenda. While CIOs should be your primary targets for discussions around progressing IT Transformation in their businesses, it’s important to also understand that their IT teams will also need to transform. To plan and manage successful AI implementations, CIOs will need to invest in new software applications, infrastructure and the platforms necessary to run AI – and also modernize existing systems to better support the increasing number of AI initiatives. Simultaneously, they must also take responsibility for tracking the business outcomes that AI is driving, to sustain and further grow their investments in the technology. As a Dell EMC partner, you’re ideally placed to offer trusted technical advice and assistance they’re likely to need in this brave new world. There are plenty of business opportunities to explore with your customers and prospects around the adoption and implementation of AI. Foremost among those is the promotion of advanced PowerEdge servers as the ideal solution for providing a solid foundation for future success. In particular, your conversations should focus on Dell EMC’s PowerEdge R940xa. Built from the ground up to deliver extreme acceleration for businesses and featuring next-generation Intel® Xeon® Scalable processors, the PowerEdge R940xa server is a very impressive 4U 4S solution that’s specifically designed to deliver dynamic scalability, which is ideal for machine learning and artificial intelligence applications. Hot on the heels of introducing your customers to the transformational capabilities of the new PowerEdge R940xa server, you could also share the 8 essential steps that CIOs must take to implement successful AI initiatives. Dell EMC recently commissioned Forrester Consulting to examine the impact of AI on IT teams, technologies and processes when it comes to an organization’s ongoing IT Transformation efforts. The result of a subsequent global online survey is a checklist that’s designed to help CIOs lead the AI strategy to drive business outcomes and reduce risk across the enterprise. The first steps fall under the category of taking stock of ongoing AI initiatives, learning from them and shaping them into a cohesive and transparent AI program. The next area of activity involves focusing on improving operational efficiency and investing in the new infrastructure and technologies needed for AI. The final steps concern championing ongoing AI initiatives, supporting them internally and initiating new projects for driving value with AI. For any organization looking to follow these 8 steps to transforming with AI, Forrester suggests that CIOs start with projects that have mature use cases and a proven ROI. Start talking to your customers today about where and how they could use optimized PowerEdge server technology to drive AI initiatives within their business. 1 Forrester Data Global Technographics Data & Analytics Survey of 2,106 data and analytics technology decision makers at global organizations, 2017. 2 Forrester Consulting Thought Leadership Checklist, commissioned by Dell EMC, ‘8 Steps CIOs Must Take To Transform With Artificial Intelligence, May 2018.